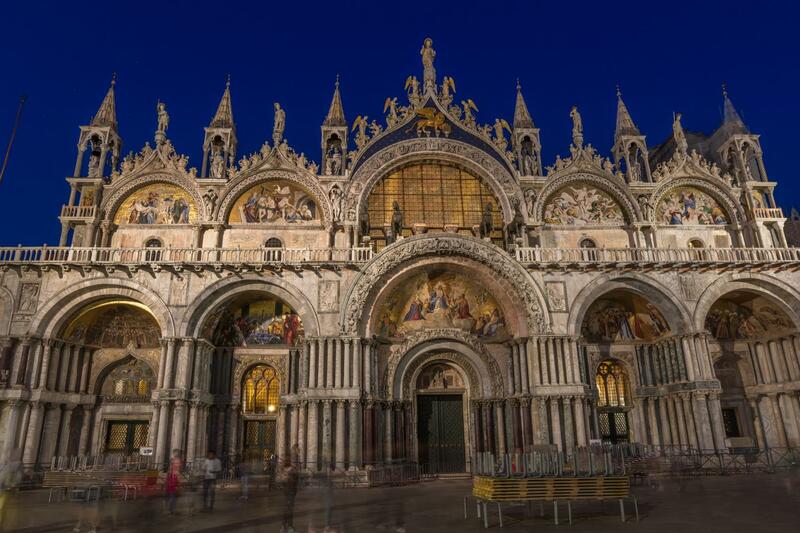 This exclusive evening walking tour organized solely by Venice Events will provide you access to Saint Mark’s Basilica, one of the most spectacular cathedrals in the world, after closing time with no crowds! 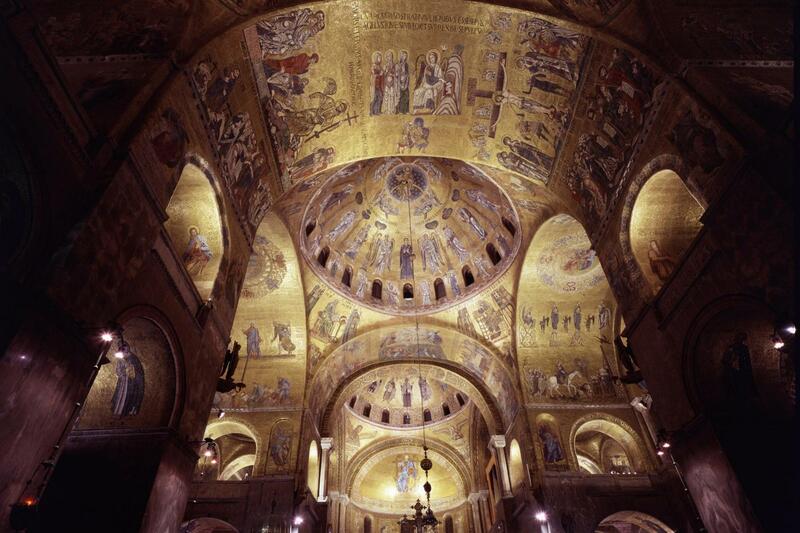 Enter this Byzantine treasure trove with just your guide and the church custodian, out of hours. Leave the crowds outside, while you discover the peace and serenity of this spiritual location, what was once the private chapel of the Doge of Venice. 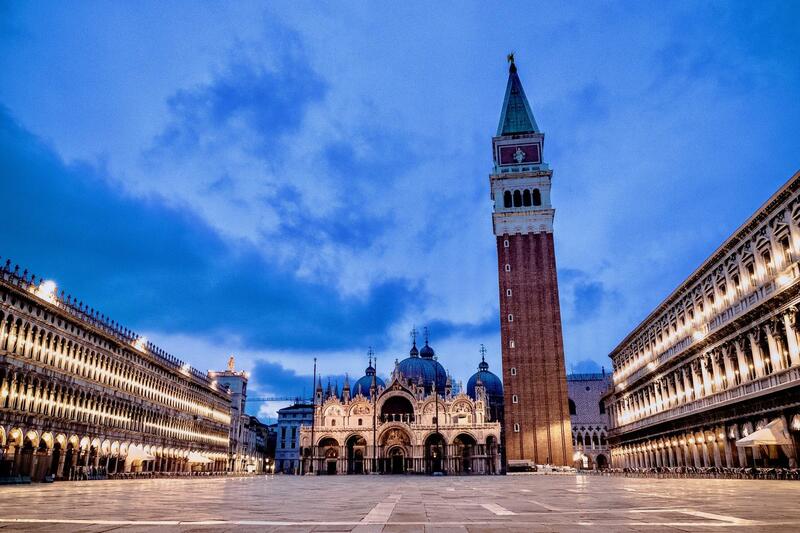 Starting in Saint Mark’s Square, our specialized guide will introduce you another side of Venice and its origins. 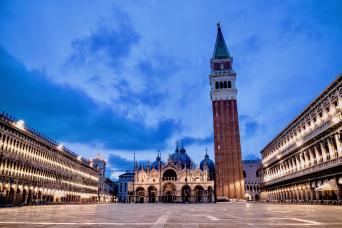 Enjoy fantastic tales of tyranny and embrace the dynamic history of Venice, whilst discovering the history of the most dramatic and awe-inspiring building in Venice, Saint Mark’s Basilica. Without the need to skip the queues or wait behind hundreds of other sightseers you will enter this sumptuous building, when all of the other tourists have long gone. The clink of the custodian's key as he opens the doors for your group will be the start of this very special and moving experience. 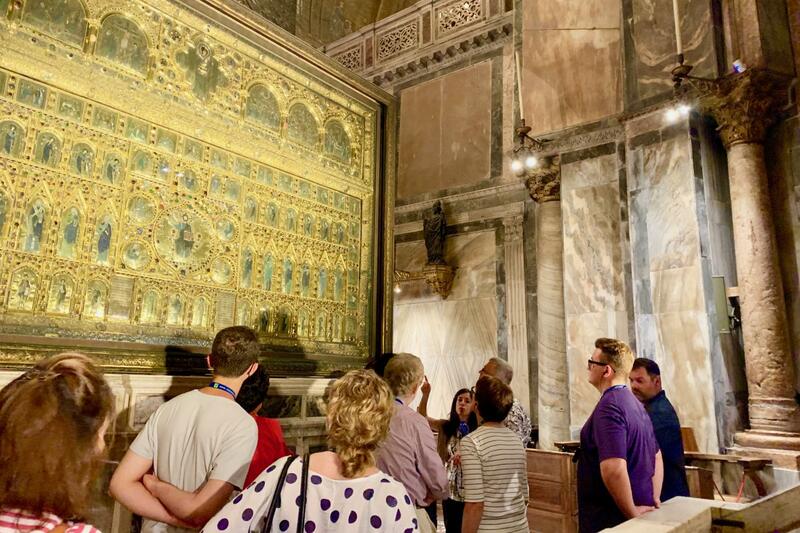 Without the buzz of a thousand tourists, relish in the glorious golden mosaics, all 43,000 square feet, illuminated just for this tour. Your passionate, and expert guide will explain the intricate works and history of the ornate decoration found throughout this architectural masterpiece. Witness the Pala d’Oro, one Italy’s most refined and accomplished examples of Byzantine enamel, decorated in gold and with over 1,900 gems. 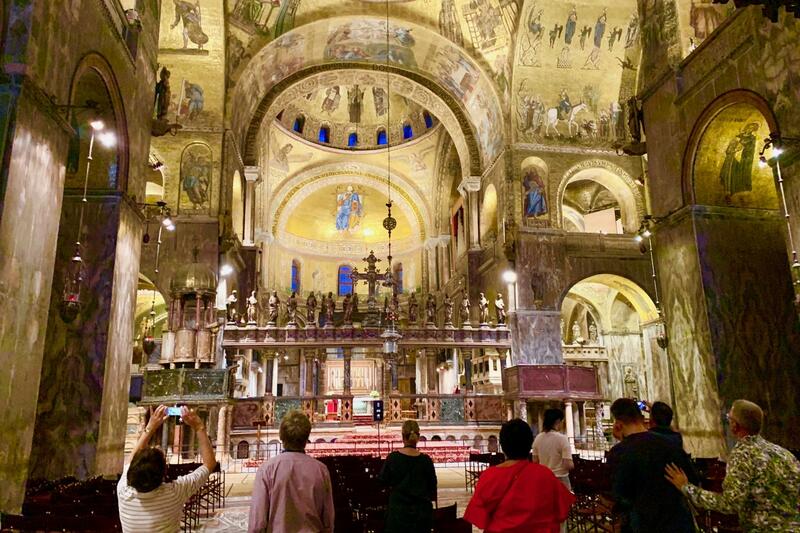 As the Basilica, has been opened just for this intimate tour, we will also visit areas that otherwise are not open to the masses, such as the crypt, where the relics of Saint Mark are said to be laid and the main altar. Venice Event’s personally selected guide will ensure your small group can embrace the art and history of this sacred location. 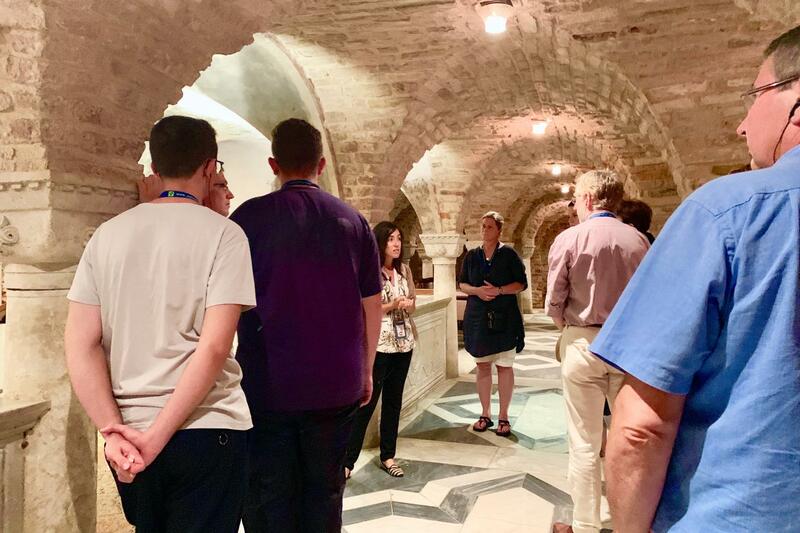 There will be no more than 6 groups in any one time in the Basilica, and therefore, ensuring this one-and-a-half-hour tour is a once-in-a lifetime experience behind closed doors. Don’t wait any longer, book now on line as this is an exclusive tour with limited access. 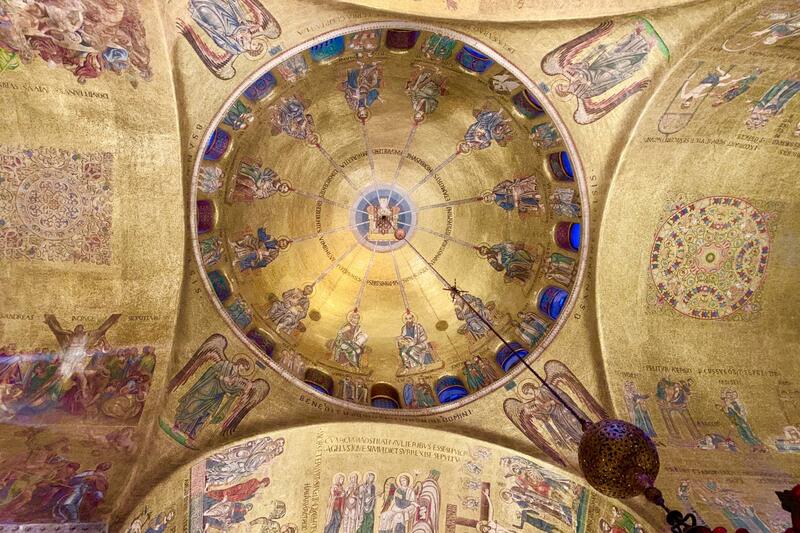 We visit St Mark's Basilica behind closed doors. A unique, guided walking tour of the Basilica out of hours, without the crowds! Venice Event’s specialized guide will ensure your group can embrace the art, history and artistic beauty of this location. We have privileged access into the Basilica therefore ensuring this is a once-in-a life experience. Highly qualified Venice Events tour guide.